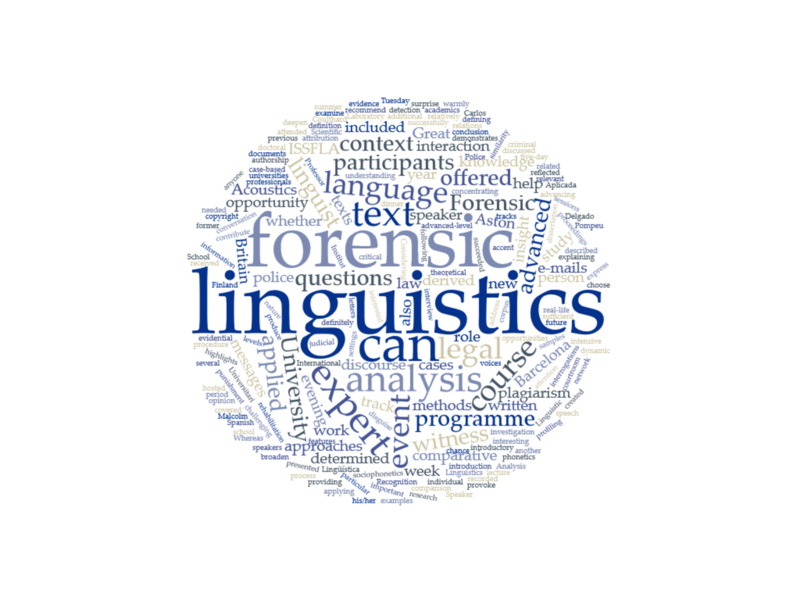 During the week of 16 to 20 July 2012 I attended the advanced track of the annual International Summer School in Forensic Linguistic Analysis (ISSFLA). 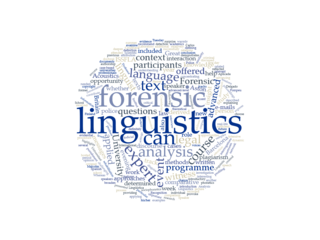 This five-day event concentrating on the role and evidential value of language in legal context was created in 2000 by Professor Malcolm Coulthard from Aston University, Great Britain, to offer an introduction to forensic linguistics, a relatively new branch of applied linguistics. In the past the course has taken place at universities in Great Britain and once in Lodz, Poland, but this year it was hosted by the Institut Universitari de Lingüística Aplicada of the Pompeu Fabra University in Barcelona. As in the previous year, the participants of the summer school had two course levels to choose from: introductory and advanced. Whereas the former aims at explaining the nature and defining the scope of forensic linguistics, the advanced track demonstrates how particular linguistic approaches can be successfully applied in the context of judicial procedure. As both tracks offered a very interesting programme, it was no surprise that the event drew around 50 professionals and academics from Europe and beyond to Barcelona to learn more about the interaction between language and the law. What is an expert witness? How does a linguist acting as an expert witness produce an expert report and express his/her opinion? What is plagiarism and how much similarity is needed between two texts to prove that one text is derived from another? How can it be determined whether two texts (e.g. letters, e-mails, text messages) were written by the same person? What linguistic features are relevant in the comparative text analysis? How much data is sufficient to make a conclusion? How can linguistic analysis be used to examine power relations, the dynamic and the roles of participants in an police interview? How can it be determined with the help of two samples of recorded speech whether two speakers are the same person? What information can be derived from the voices? How can the linguist spot a faked accent used to disguise the voice of the speaker? Among the linguistic methods applied to address these questions were comparative text analysis, corpus linguistics, conversation analysis, critical discourse analysis, sociophonetics and the linguistics of the individual. During the theoretical sessions real-life cases were used as examples and each day also included challenging case-based group work that offered the opportunity to deepen the understanding of forensic linguistic work. The intensive programme included the ISSFLA 2012 dinner on Tuesday evening that gave participants the chance to network, as well as an additional evening lecture on Forensic Acoustics and Speaker Recognition given by Carlos Delgado, Head of the Acoustics Laboratory of the Spanish Scientific Police – these were definitely the highlights of the week. 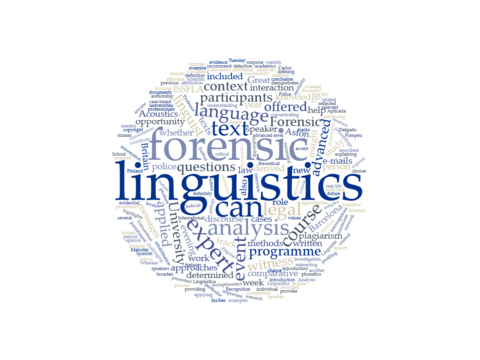 Considering the fact that in Finland forensic linguistics has not received much attention so far, the event offered a great opportunity to gain expert knowledge of this very important field. The brief period of study succeeded to broaden my view of the opportunities presented by forensic linguistics and to provoke new ideas not only for my doctoral dissertation, but also for future research. I warmly recommend this event to anyone interested in the study of language in the legal process. Dr. Emilia Lindroos is a University Lecturer in Legal Linguistics at the Faculty of Law, University of Lapland. She holds both a degree in linguistics and a doctorate in law. She received her MA with a specialization in translation studies and law from the University Of Helsinki, Finland, in 2007, and her LLD in comparative legal linguistics from the University of Lapland, Finland, in 2015. Lindroos, Emilia (2012). 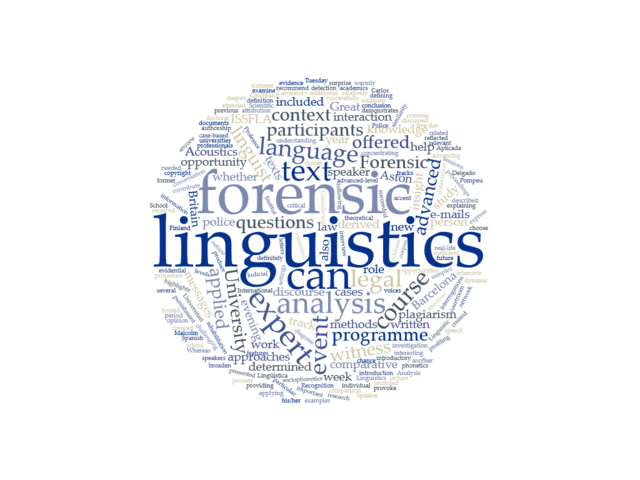 „Diving into forensic linguistics: A report on the 12th Edition of the International Summer School in Forensic Linguistic Analysis“. Zeitschrift für Europäische Rechtslinguistik (ZERL). Köln: Europäische Rechtslinguistik, http://zerl.uni-koeln.de/lindroos-2012-forensic-linguistics.html, (Datum des letzten Zugriffs). URN des PDFs: urn:nbn:de:hbz:38-74464.